Report to the European Parliament by the High Representative of the International Community and the EU Special Representative for Bosnia and Herzegovina. This report covers the period from 1 May to 31 October 2008. During the last six months Bosnia and Herzegovina (BiH) has taken an important step forward in its efforts to progress towards the EU. Following the adoption of the required police reform laws in mid-April, BiH signed on 16 June a Stabilisation and Association Agreement (SAA) (and accompanying Interim Agreement) with the EU. This is the first contractual relationship between BiH and the EU and an important step towards future candidate status and possible accession to the European Union. Regrettably, this important step has not led to a change in the way politics is conducted in BiH. Instead nationalist, anti-Dayton rhetoric challenging the sovereignty, territorial integrity, and constitutional order of BiH, as well as the authority of the High Representative and the Peace Implementation Council (PIC) Steering Board have continued to dominate politics in BiH. Of particular note have been the frequent attempts by the Republika Srpska government to undermine State institutions, competencies, and laws. Together with provocative statements from, in particular, the Bosniak political leaders, questioning the right of Republika Srpska to exist, this has served to further undermine inter-ethnic trust, creating a cycle where it is more and more difficult for the country’s political leaders to meet each other half way so they can make the decisions needed to take the country forward. After making some welcome initial progress between May and June towards delivering the five objectives and two conditions1 set by the PIC Steering Board in February 2008 for the transition of the Office of the High Representative (OHR) to a stand-alone EU Special Representative (EUSR), the authorities in BiH have hardened their positions since July on the two substantial and crucial objectives of State property and completion of the Brcko District Final Award. Some progress in this was regard was only achieved in early November, outside the reporting period. Most notably on Objective 2 – Movable Defence Property, Objective 4 – Fiscal Sustainability and Objective 5 – Entrenching the Rule of Law) and the First Condition (met when the SAA was signed on 16 June) challenging the country’s sovereignty, territorial integrity, and constitutional order have been high on the agenda. The adoption in April of two police reform laws opened the way for BiH to sign a SAA and an Interim Agreement with the EU on 16 June. The Interim Agreement entered into force on 1 July 2008. The BiH Parliamentary Assembly ratified the SAA in October, and the BiH Presidency completed the ratification procedure in early November. On BiH’s side, there have been no particular difficulties in implementing the Interim Agreement. An agreement was reached in May on voter rights for voters from Srebrenica. Amendments to the BiH Election Law of BiH were adopted that month that allowed all those who were residents in Srebrenica in 1991 to have the option of casting votes for that municipality (irrespective of their displaced person status) in the 2008 municipal elections only. Regrettably these positive developments were short-lived. Nationalist rhetoric continued to dominate politics at all levels throughout the reporting period. The municipal election campaign provided for a further hardening of positions on all sides, with Republika Srpska Prime Minister Milorad Dodik and the then Chair of the BiH Presidency Haris Silajdzic, continuing to undermine the political situation through their public statements after the elections. In this political situation, the six parties in the coalition at the State level met on 23 August. Not surprisingly, they were unable to make any headway on the reform agenda. Given the prevailing political situation, the fact that the leaders avoided a confrontation only a few months before the election was seen as a positive sign. On 20 September, the SDA Main Board adopted a declaration that contains a call for a return to the constitution of the Republic of Bosnia and Herzegovina, if OHR is closed before full implementation of the Dayton Peace Agreement. The SDA’s assertion is based upon a decision of the Republic of BiH Parliamentary Assembly of 12 December 1995 accepting the new Dayton constitution with this proviso, prior to signing the Dayton Accords in Paris on 14 December 1995. Such a call constitutes a threat of unilateral change to the Constitution of BiH, which is Annex 4 of the Dayton Peace Agreement, and is therefore unacceptable. Croat political leaders were not immune from commenting on the country’s constitutional order, although they did so mostly in the context of presumed constitutional reform discussions. In July, the leaders of the Croat Democratic Union (HDZ) of BiH and HDZ 1990, Dragan Covic and Bozo Ljubic (respectively), made almost identical comments that a (presumably Croat-dominated) third entity was an option. They stated, however, that this could only be the case ‘as the product of agreement between all three constituent peoples. Also in September, the Chairman of the BiH Presidency Mr. Silajdzic embarked on a round of unilateral addresses, giving speeches to the UN General Assembly and to the Parliamentary Assembly of the Council of Europe, which had not been cleared with the other two members of the BiH Presidency. Mr. Silajdzic’s speeches caused considerable controversy in Republika Srpska due to his emphasis on the genocide committed in Srebrenica in 1995. On 15 October, the Republika Srpska National Assembly held a special session in response to President Silajdzic’s speeches, At that session, it reaffirmed its conclusions of 22 February, wherein it considered that it has the right to a referendum on Republika Srpska independence, and adopted the “information” document of the President of the Republika Srpska that attributes “sovereignty” to the Republika Srpska and the “right” to hold a referendum on independence. Representatives from Republika Srpska have also continued to directly challenge the State via legislative initiatives. A number of concrete examples exist, in the field of transfer of competencies including the Missing Persons Institute, the (electricity) Transmission Company (TRANSCO) and the Independent Systems Operator (ISO), the Central Bank, the Indirect Tax Authority (ITA) and the State Ombudsman. Republika Srpska’s readiness to meet these obligations were further called into question on 27 October when Republika Srpska Prime Minister Dodik wrote to the High Representative informing that he had hired a US law firm to represent him in relation to implementation of the Dayton Peace Agreement and the activities of the OHR. The High Representative replied on 29 October “that the mandate and the work of the High Representative is a matter for the Peace Implementation Council and its Steering Board, as well as the United Nations Security Council. It is not a matter for a private entity.” He further underlined that Republika Srpska has the obligation in relation to the Dayton Peace Agreement to fully cooperate with the High Representative. This action from Republika Srpska is yet another retrograde step and reflects the growing difficulties the OHR has encountered when it comes to meeting the obligations to co-operate with the High Representative under Annex X of the Dayton Peace Agreement. On a more positive note, the 5 October municipal and Brcko District elections took place without major incidents. Overall there were no major surprises in the election result, although it is notable that the parties whose leaders have been most active against constitutional reform measures in April 2006 lost the most votes compared to their results in 2006 (general elections). Nationalist parties that espoused anti-Dayton rhetoric during the election campaign did also lose absolute numbers of votes. On 29 October, the Foreign Minister Mr. Kouchner (EU Presidency), Secretary General Mr. Solana and the Commissioner for Enlargement Mr. Rehn wrote a letter to the three members of the BiH Presidency as well as to the Federation and Republika Srpska Prime Ministers. In this letter they stressed the responsibilities deriving from BiH’s stated priority of moving closer to the EU (as well as signing the SAA). They also warned against statements and acts challenging the structure of the state as defined by the Dayton Peace Agreement, and urged the addressees to demonstrate through acts and compromise their commitment to the country’s future in the EU. The OHR/EUSR has continued to closely follow developments regarding constitutional reform. During the reporting period, several political parties presented their proposals for constitutional reform. However, the positions remain wide apart. For example, some parties demand an entirely new constitution, while others insist on an incremental approach of step-by-step amendments. Outside the reporting period on 8 November, the leaders of the SDA, SNSD and HDZ BiH parties, however, adopted a joint statement underlining their readiness to address constitutional reform with an incremental approach and with facilitation from the international community. The OHR/EUSR has reiterated the need for the constitutional reform process to be a domestically led process, where solutions should arise out of compromise and on the basis of consensus. A constitutional reform must address the issue of compatibility with international standards on human rights and fundamental freedoms, especially compliance with the European Convention on Human Rights (ECHR). This is one important element of any future constitutional reform. The OHR/EUSR has continued to underline that constitutional reform is central to the proper functioning and sustainability of BiH, as well as meeting the demands of European integration. In late 2007, the Brcko Supervisor consulted with the President of the Tribunal and concluded that the idea proposed earlier in the year by several influential political leaders in BiH for a package of modest and limited constitutional amendments and a minimalistic law would be the best way forward by which the Constitutional Court of BiH could replace the Arbitral Tribunal for disputes between the District and the entities, and thus create the conditions for ending Supervision. The closure of the Supervisory Regime goes hand-in-hand with the closure of the Tribunal. As such, the determination that the District works “effectively and apparently permanently” requires the Supervisor to ensure that the District has ways to protect its rights under the Tribunal’s awards, something it currently can do only by appealing to the Tribunal itself. During the reporting period, the Supervisor has attempted to re-engage key parties on returning to the agreement reached earlier this year to address the issue through an amendment to the BiH Constitution. The PIC Steering Board has endorsed this approach and urged parliamentarians and political leaders to adopt the necessary measures as soon as possible. According to the latest figures from the BiH Ministry for Refugees and Human Rights, there are 120,000 displaced persons in BiH who have expressed their wish to return to their pre-war homes. Many practical barriers to return remain, including the absence of employment opportunities, inadequate funds for rebuilding, and difficulties in accessing health and social services in their former places of residence. The BiH Ministry for Refugees and Human Rights has completed its consultations on a revision of the current strategy for the implementation of Annex VII of the Dayton Peace Agreement. Annex VII guarantees refugees and displaced persons the right to return home. The proposed strategy, targeted for completion and adoption later in 2008 by the BiH Council of Ministers emphasizes the need to sustain the return of those people who have already returned. Economic trends in the first half of 2008 indicate challenges to economic growth. Due to growing food and energy prices, inflation reached 9.9 percent in July, the highest rate in the last ten years. BiH’s trade deficit in the first eight months of this year was 3.2 billion KM, with exports increasing by 17 percent and imports increasing by 21.8 percent on an annual basis. The average monthly net wage also increased by 19 percent, now amounting to 376 EURO. There was better news on the employment front, with the unemployment rate down by nearly 6 percent compared to last year. It is now estimated at 23.4 percent. The reporting period has witnessed a number of developments with regard to the economic reform agenda. On the fiscal side, the establishment of the BiH Fiscal Council, aimed at facilitating better coordination between the State and the entities on fiscal policies to ensure overall fiscal sustainability and macroeconomic stability, took a major step forward when the requisite law was adopted by the BiH Parliamentary Assembly on 23 July. The National Fiscal Council held its first meeting on 11 September and at its session on 28 October adopted its rules of procedure. The Governing Board of the Indirect Taxation Authority (ITA) met on 24 June and agreed on a permanent methodology for allocation of indirect taxes and the appointment of the BiH Minister of Finance and Treasury as the new ITA Governing Board Chairman as of 1 July. The ITA Governing Board has held three further meetings in the reporting period, but it failed to make substantial progress due to the persistent non-attendance of the Republika Srpska Minister of Finance. The Federation has been faced with serious challenges to its financial stability in the reporting period. Several factors have contributed to this, primarily unrealistic planning for 2008 and a significant increase in allocations for social support and the veteran population. The Federation will need to amend social and veterans’ legislation, introducing a proper revision of its beneficiaries and establishing a single database of beneficiaries to prevent fraud, if it is to tackle the issue. Expenditures will also need to be reduced. The Federation War Veterans Ministry has initiated a new review of beneficiaries of war veterans and disability benefits as the first phase of its overall review. This should eventually result in a decrease in budgetary allocations to veterans. Community, the Republika Srpska Government replaced its original conclusion with a new text that did not go beyond legislation in force. The OHR/EUSR, the European Commission and the United States have continued to work towards an agreement that will be satisfactory to both entities. In addition to attempting to undermine TRANSCO, Republika Srpska attempted to amend the BiH Central Bank Law. The amendment sought to determine the share of Republika Srpska in the founding capital of the Central Bank and the method of distribution of its profit. The proposal was in violation of the Central Bank’s independence as stipulated by the BiH Constitution and as such, it was rejected on the grounds of lacking a constitutional basis. With regard to other single economic space reforms, no progress was made on any issue requiring a transfer of competence, due to ongoing opposition by Republika Srpska to any transfers of competence to the BiH institutions. These reforms include the establishment of a State-level banking supervision system. Although the impact of the global credit crisis on BiH is yet to be seen, the Central Bank has taken a proactive approach, first providing 200 million EURO in cash and then reducing the required reserve rate from 18 percent to 14 percent to provide additional liquidity to the banking sector. Additionally, on 23 October, the BiH Council of Ministers adopted and forwarded amendments to the Law on Deposit Insurance in Banks of BiH to the BiH Parliamentary Assembly for adoption under urgent procedure. The amendment would raise the deposit insurance to 10,000 EURO for physical persons. The Public Administration Reform (PAR) continues to be a very slow and uneven process. The Federation and Republika Srpska Governments have all proposed amendments to legislation that would change the status of civil servants and run contrary to the Public Administration Reform Strategy in BiH, which was adopted by all levels of government in 2006. In effect the proposed changes would be a step towards making civil servants political appointees and open the door to nepotism and political influence throughout the civil service administration in both entities. The BiH Council of Ministers has suffered from ineffectiveness resulting in a limited legislative output in the reporting period. Slightly more progress has been made in adopting decisions (as opposed to laws) related to the European Partnership and the Stabilisation and Association Agreement. The BiH Parliamentary Assembly has also met infrequently and parliamentary activities have resulted in very little progress in the reporting period. For example the BiH House of Peoples met only three times between the end of June and the end of October. The legislative output has been affected by infrequency of parliamentary sessions and the pre-election campaign for the municipal elections. While the Presidency could take some pride in passing a limited number of substantial decisions (such as the ratification of the Framework Agreement on Instrument for Pre-accession Assistance and the Social Charter), its failure to agree on the messages being delivered in fora such as the United Nations General Assembly and the Council of Europe Parliamentary Assembly further contributed to division amongst its members. On defence property there was limited and slow progress in implementing the March 2008 transfer agreement on movable defense property. The BiH Presidency was reluctant to approve both the plan for disposal of arms and ammunition as well as the long-approved equipment redistribution plan. Throughout the reporting period Republika Srpska Prime Minister Dodik repeatedly claimed falsely that a large but indeterminate number of entity competencies had been ‘stolen’ from Republika Srpska and ‘imposed’ at State level by the International Community. In late June, he stated that ‘under pressure’ Republika Srpska transferred competencies to the State and that “we are no longer willing to give up on further authorities. On the contrary we are considering which of these authorities we want back.””2This statement runs counter to the PIC Declaration of October 20073, and has served to undermine state building efforts undertaken thus far. Public statements continued to be made on the issue of State competencies, culminating in a speech by Republika Srpska Prime Minister Dodik (wherein the number of contested, but unspecified competencies had grown to over 60) and new conclusions in the Republika Srpska National Assembly’s extraordinary session on 15 October. The conclusions also restated an SNSD election promise, to regulate the transfer of competencies from entity to State. It also subtly shifted and expanded the scope of this issue. The Federation continued to face serious challenges with regard to its financial stability. Several factors contributed to this, but the main reason was unrealistic planning for 2008 and significant increases of social and war veteran benefits. To address the problem, the Federation Government reduced expenditures by 20 percent and is planning to rebalance and restructure its current 2008 budget. Despite these steps, it is clear that a lasting solution can only be provided through amendments to social and veteran legislation by establishing a single database for all beneficiaries. This would prevent fraud and reduce expenditures. The Federation War Veterans Ministry has initiated a new review of war veteran’s beneficiaries including those on disability benefits as the first phase of an overall review. During the reporting period, little progress was made to reach an agreement on immovable defense property that will continue to serve defense purposes. In order to invigorate the process, in July, NATO Headquarters Sarajevo (NHQSa) developed a “concept paper” outlining the key issues that should be regulated by a transfer agreement on immovable property. In September initial steps were undertaken to make a large survey of representative defense sites across BiH. This survey provided sufficient information to begin the drafting process. Due to local inactivity, NHQSa began to develop its own draft transfer agreement as a catalyst for the BiH Ministry of Defense to undertake its responsibilities. Work on addressing the defense property is now continuing on the basis of the joint statement agreed on 8 November between the leaders of the three main parties. The Intensified Dialogue program was offered by NATO in large part due to progress made earlier in the year on the transfer of movable defense property to the state. Following the NATO summit in April, BiH submitted an initial discussion paper as a first step in the Intensified Dialogue program in July. NATO considered the paper at the first Intensified Dialogue meeting in early September. Overall, BiH worked hard to achieve progress within NATO’s Partnership for Peace program (PfP). However, since it became necessary to develop and implement detailed action plans on a multi-agency basis, the lack of staff capacity in BiH ministries has begun to impose friction on BiH’s hitherto rapid progress through the various stages of PfP. The functioning of the BiH Intelligence-Security Agency (OSA) continues to be consolidated through the inception of various donor capacity/institution building projects. Operational work in the field of counter-intelligence was further developed and the results of a policy of continuous cooperation with regional partners and police bore fruit with high-profile arrests in the fields of counter-terrorism, war crimes and organized crime. Increased co-operation between key state actors is being facilitated through their efforts to establish a BiH secret data protection system in line with Euro-Atlantic standards. While now well underway, the process of drafting a national strategy for addressing war crimes has yet to result in a final draft. Having been initiated 15 months ago the process only very recently picked up momentum through the establishment of a Strategy Working Group, established by the BiH Ministry of Justice and chaired by the chief prosecutor. A deadline of mid-December has been set for delivery of a draft strategy. Unquestionably, there is a need for a strong national strategy for addressing war crimes given the huge domestic caseload in BiH and the planned closure of ICTY by the end of 2010. A clear, well articulated document will also provide substantial assurance to the BiH public that all serious war crime related cases will receive appropriate and timely attention. The OHR/EUSR will continue to support BiH’s efforts in the development of an effective and relevant strategy and where necessary provide appropriate mediation to ensure its adoption by the competent authorities. The BiH Parliamentary Assembly adopted a new Law on Stay and Movement of Aliens and Asylum in April 2008, which came into force on 14 May 2008. The OHR/EUSR has continued to closely monitor the implementation of the provisions of the Law through participation in working groups, drafting the necessary rulebooks to ensure the Law is fully implemented. The OHR/EUSR successfully mediated a compromise that allowed for the adoption of the National Justice Sector Reform Strategy in June. The strategy addresses the key elements of a functional justice sector, will be reviewed and improved over the next five years. Action plans to implement the Strategy’s five objectives are due to be endorsed in December. However, a number of essential reforms designed to create an effective and sustainable justice sector were ultimately omitted from the strategy due to lack of consensus. For this reason the strategy obliges the signatories to find a solution to these issues before or through the process of constitutional reform. The outstanding issues include the establishment of a Supreme Court of BiH, the development of a single funding mechanism for the judiciary, and the adoption of single criminal and civil substantive and procedural legislation. OHR/EUSR remains active in supporting the BiH State judicial institutions and specific projects that are deemed important to re-enforce the independence, functionality and professionalism of the judiciary. One of these projects relates to the maintenance of international judges and prosecutors in the BiH State Court and BiH Prosecutor’s Office past the deadline for the completion of the transition period, in December 2009. The risk of continued political interference in upholding the rule of law was also seen in the recent decision of the RS Government to refuse to cooperate with the State Investigation and Protection Agency (SIPA) and the BiH Prosecutor’s Office, by instructing the RS Tax Administration to ignore a BiH Prosecutor’s order to hand over tax returns of two private companies and financial reports of several of its Ministries. These actions violated several fundamental state laws and constituted explicit political interference with the independence of the judiciary and in operational policing. This has been a relatively quiet time concerning regional issues. Unlike the Governments of Montenegro and the former Yugoslav Republic of Macedonia, which recognized Kosovo’s independence in October, BiH has continued to withhold its recognition. There has been no progress during the period in sorting out border-demarcation issues with Serbia or Croatia, which have not yet signed border treaties with BiH. On a positive note, a dispute in June with Serbia over its plans to seize and sell real estate and plants owned by BiH companies in Serbia was resolved when the new Serbian government revoked the decision of the previous government. Another positive development was the announcement of the Croatian government that it may be ready to amend its constitution to permit the extradition of its citizens to foreign countries. Such a step would be a welcome development and the parties are encouraged to address it. A lesser stir followed after Serbia announced that the projected Southern Stream natural-gas pipeline could also serve the RS. There are reportedly also plans to integrate the RS and Serbian electricity industries. Following the long-awaited adoption of two police reform laws in mid April, BiH signed the SAA and the SAA Interim Agreement with the EU on 16 June. BiH has ensured proper implementation of the SAA Interim Agreement, which entered into force on 1 July. Beyond this, progress has been slow in adopting and implementing the EU legislative agenda. The BiH Council of Ministers finally adopted an incomplete European Partnership action-plan for European Partnership priorities (with RS objections on 25 items) on 6 October, after serious delays. By 28 October, both houses of the BiH Parliamentary Assembly had given their approval for the ratification of the SAA. On 6 November, the BiH Presidency completed the ratification process on the part of BiH. The work of the BiH Parliamentary Assembly continues to reflect the inability of political leaders to meet each other halfway so they can take the decisions required to ensure the country’s progress toward EU membership. This is in danger of becoming a medium term problem. The total number of new laws adopted by the BiH Parliamentary Assembly in the first two years of its mandate is 22. By comparison, the last BiH Parliamentary Assembly adopted a total of 80 new laws in the same period in the previous mandate. The main reason for these difficulties is the low input from the BiH Council of Ministers and the difficult political climate. The police reform laws, adopted in April 2008, set an August 2008 deadline for appointments to the agencies and boards mentioned above. The BiH authorities failed to make any appointment before the August deadline, though the BiH Council of Ministers appointed members of the Board for Complaints of Police Officials on 7 October 2008. In June, the BiH Parliamentary Assembly formed an ad hoc commission to conduct the selection process for members of the Public Complaints Board and Independent Board in line with the police reform laws. OHR/EUSR, EUPM and U.S. Government/ICITAP (International Criminal Investigative Training Assistance Program) have been monitoring its work. In September 2008, the ad hoc commission organized the publishing of vacancy announcements for these posts and is interviewing candidates in November. In July, the BiH Ministry of Security formed a commission to carry out the selection procedure for the Directors and Deputy Directors of the new Forensics Agency, Agency for Education and Training, and Agency for Police Support. OHR/EUSR, EUPM and U.S. Government/ICITAP representatives monitored the work of the commission. At the end of July, the commission completed its mandate and forwarded a ranked list of candidates to the BiH Ministry of Security. The transitional provisions of the Law on Directorate for Coordination of Police Bodies and Agencies for Support to Police Structure of BiH also required that the BiH authorities harmonize existing legislation with the police reform laws by mid November. In July, the BiH Ministry of Security established a commission for this purpose. In September, the commission forwarded draft amendments to the Law on Ministries and Other Bodies of Administration of Bosnia and Herzegovina, Law on the State Investigation and Protection Agency, Law on Border Police of Bosnia and Herzegovina, and Law on Police Officials of Bosnia and Herzegovina to the BiH Ministry of Security. As of October 2008, the necessary legislation had not yet entered the BiH Council of Ministers or Parliamentary procedure. The arrest of Radovan Karadzic was an important event in BiH. Although reactions to the arrest did not materially effect the physical security situation in BiH, statements and actions by both Serb and Bosniak political leaders contributed to the worsening of the political climate. Certain Bosniak politicians asserted that a conviction of Karadzic would provide the legal basis for abolishing Republika Srpska. In reaction the Republika Srpska government promised support to Karadzic and his family members involved in his support network. Continued support from the International Community to the ICTY remains essential to ensure the Karadzic case is fully resolved. The role of BiH’s Intelligence and Security Agency (OSA) is to be commended for its excellent groundwork, which helped lead to the arrests of both ICTY fugitives Stojan Zuplijanin and Radovan Karadzic. The combined efforts of OHR/EUSR, NATO, EUFOR, ICTY, OSA, and the Republika Srpska Police who all contributed to locating both fugitives, was critically facilitated by the various sanctions against members of the PIFWC (Persons Indicted For War Crimes) support network. ICTY fugitives Goran Hadzic and Ratko Mladic remain a priority for OHR/EUSR, which will continue to play a co-coordinating role in BiH with all agencies concerned with ICTY initiatives. Following Radovan Karadzic’s transfer to The Hague on 30 July, the High Representative repealed the previous orders seizing travel documents from members of Radovan Karadzic’s family. This enabled BiH’s authorities to return travel documents to Radovan Karadzic’s wife, Ljiljana Zelen-Karadzic, daughter, Sonja Karadzic-Jovicevic, son, Aleksandar Karadzic and son-in-law, Branislav Jovicevic. The Republika Srpska Centre for Public Safety East Sarajevo officially returned the documents to the Karadzic family on 31 July. On 3 July, the ICTY acquitted Naser Oric, whose first instance sentence of two and an half years was overturned by the Appeal Chamber. Bosnian Serb and Serbian politicians condemned the Court’s decision, which nonetheless stated that war crimes against Serbs did undoubtedly occur in the area in which Oric’s troops operated. The ICTY’s perceived lenient sentence to former Army of the Republic of BiH Commander Rasim Delic for failing to prevent war crimes of the mujahedeen brigade and acquittal on three other counts was also criticized by both Croat and Serb leaders. In October, the State Prosecutor’s Office ordered the arrest of four persons in the Prijedor area, who were suspected of participating in the murder of over 200 Bosniaks and Croats at Koricanske Stijene at Mount Vlasic in the summer of 1992. At the urging of OHR/EUSR, Federation Prime Minister Nedzad Brankovic set up an interagency working group to follow-up on outstanding Human Rights Chamber and Constitutional Court decisions related to Serbs that went missing in Sarajevo. OHR/EUSR will also continue to work with local authorities to locate the remains for Colonel Avdo Palic. Colonel Palic’s widow, Esma Palic, is awaiting the outcome of her lawsuit filed in the European Court for Human Rights. The lawsuit against BiH for the non-implementation of the Human Right Chamber decision obliged the Republika Srpska authorities to locate the remains as well as establish the circumstances around her husband’s disappearance. It is also important to note the escape of ICTY transfer case and war crimes convict Radovan Stankovic from the prison in Foca in May of last year. The Republika Srpska authorities initially returned to duty the prison guards and prison director working at the time of the escape, and they only suspended certain persons after the State Prosecutor’s Office launched its own investigation in the case. Republika Srpska appears to have taken no serious efforts to apprehend this fugitive. A similar problem has been identified in the Zenica prison, where Abdulhadim Maktouf, the first person convicted by the BiH War Crimes Chamber, has been repeatedly granted leave from the prison in violation of the relevant law. Despite repeated inquiries and demands for remedial action from OHR/EUSR, to date Federation officials have failed to take any meaningful action, and the case is now under investigation by the Federation Prosecutor. The Stankovic and Maktouf incidents reinforce the continued need for the construction of a State Prison staffed with professionally trained personnel. This project is currently under discussion between International donors and the Ministry of Justice. The Ministry has shown leadership on the issue, since assuming control of the project from the BiH Court Registry. The mandates of the international judges and prosecutors at the BiH War Crimes Chamber of the Court are scheduled to expire and the positions taken over by domestic judges and prosecutors by the end of 2009. BiH judicial institutions have approached OHR/EUSR with the request to support the extension of the international presence beyond 2009. ICTY President Fausto Pocar and key donor organizations fully support this request. The Public Broadcasting System reform required the adoption of four laws, at both the State and Entity levels. For more than two years, the Federation Law on Public Broadcasting Service was blocked by the Federation Parliament. Finally, in July, after the Federation Constitutional Court ruled that the proposed law does not violate the Vital National Interest of the Croat people, the Federation Parliament enacted the law. The Federation Law on Public Broadcasting Service still needs to be fully aligned with the Public Broadcasting System Law of BiH. In addition, the full implementation of the legislation requires the establishment of the Corporation that would manage property, technical resources, foreign programming, and system policies on behalf of all three public services. Implementation of the reform is central to ensuring editorial independence and financial self-sustainability. Ensuring the independence of the Communications Regulatory Agency (CRA) is another European Partnership requirement. The appointment of a new General Director for CRA is still unresolved. The Republika Srpska National Assembly stated in October that the CRA is functioning illegally due to a failure of the BiH Council of Ministers to appoint a new General Director. This statement further undermines the position of the CRA. In general, the media landscape continues to be fragmented with allegations of both harassment and direct physical and verbal assaults on journalists by elected and appointed officials and interference with independent regulators. Reflecting this, BiH fell significantly from 19th to 36th place in “Reporters sans Frontiers”most recent world report on press freedom. EUFOR continued to provide a military force of some 2,200 personnel and retained the capability to bring in over-the-horizon reserves. EUFOR’s headquarters and peace enforcement capability remained based in the Sarajevo area, but Liaison and Observation Teams (known on the ground as LOT teams) were present throughout the country. Given the difficult political environment, it is important that EUFOR retain the capacity to deploy troops throughout BiH at short notice. EUFOR continued to work closely with the Armed Forces of BiH, especially in terms of handing over the additional military functions to the BiH authorities. Since the presence of EUFOR on the ground provides the crucial reassurance that the BiH population generally feels as necessary, EUFOR continues to play a key role in contributing to a safe and secure environment in BiH as well as for OHR/EUSR and other international organizations in fulfilling their respective mandates. As such, EUFOR continues to serve as an important factor of stability in BiH at a time when the political situation is far from stable. As foreseen in its mandate, EUPM’s strategic priorities remain the fight against organized crime and corruption, the attainment of police reform, and the improvement of police accountability. As for the first priority, the mission took the lead in coordinating the policing aspects of international efforts and ensured, in particular, closely targeted EU attention to major crime cases across BiH through the EU Coordination Board. EUPM advised on key operations and on the development of technical capabilities, including special investigative measures. Essential technical capabilities provided through the CARDS (Community Assistance for Reconstruction, Development and Stabilization) program were made operational during the reporting period. Through its Criminal Justice Unit, and in close coordination with OHR/EUSR, EUPM promoted better relations between police and prosecutors and closely cooperated with the High Judicial and Prosecutorial Council. In the area of police reform, EUPM, together with OHR/EUSR, has provided advice to the BiH authorities on the implementation of the two police reform laws, adopted by the Parliamentary Assembly of BiH in April. EUPM also monitored police accountability and supported the development of good practices. The commemoration ceremonies in Srebrenica and Eastern Bosnia and the aftermath of the arrest of Radovan Karadzic provided EUPM with an opportunity to evaluate the police’s handling of highly sensitive public events. In both cases EUPM judged the performance of the local police as positive. The mission likewise supported the strengthening of the main state-level law enforcement agencies, the Border Police and the State Investigation and Protection Agency, in particular through co-location. 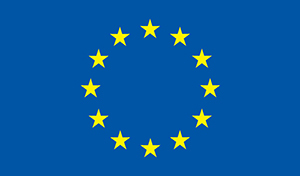 EUPM is expected to maintain its current strength and activities for the remainder of the Council Joint Action on EUPM, which expires on 31 December 2009. A reorientation of the mission may be required following a decision by the Peace Implementation Council on OHR/EUSR transition. The Head of Mission Brigadier General Vincenzo Coppola (Italy) ended his tour of duty on 31 October. The Council appointed Commissioner Stefan Feller (Germany) on 24 October, effective as of 1 November. In line with the EUSR mandate (Council Joint Action 2008/130/CFSP of 18 February 2008), the EUSR continued to promote the priorities listed in the European Partnership document of 2008. In addition, the EUSR has continued to coordinate and ensure the coherence of the EU presence in BiH, through chairing weekly ‘EU Family’ meetings as well as through other regular and ad hoc mechanisms. The EUSR has in particular continued his close cooperation with the Head of the EC Delegation, the EU Presidency on the ground, as well as with the Head of EUPM and COMEUFOR, both of whom he provided his political guidance and advice to, and received respective expertise from. The EUSR visited a number of PIC and EU capitals in order to contribute to a renewed discussion over the EU’s engagement in BiH, particularly in view of -and without prejudice to – a possible transition from OHR to a reinforced EUSR Office. In this respect, a joint report by High Representative Solana and Commissioner Rehn on the EU’s engagement in BiH was issued on 31 October, and later welcomed by EU Foreign Ministers (10 November). This joint report is the basis for the formulation of a renewed, tailored EU strategy towards BiH, to which the EUSR brings his input. In line with the EU Enlargement Strategy 2007-2008, calling for better communication by the EU, the EUSR placed a particular emphasis on promoting a public campaign aimed to stimulate domestic support for EU integration. This has been done in close coordination with the European Commission and other EU actors on the ground in BiH. This initiative plays an import role in establishing the primacy of the European agenda and stimulating a dynamic reform process through which citizens in BiH will actively demand their political representatives implement reforms required to improve their daily lives and to integrate the country into the EU. During the spring, the EUSR visited, together with a number of BiH NGOs, 17 towns across BiH and spoke directly with over 3000 citizens about the EU integration process. These public discussions culminated in June with a nationwide televised debate. The EU campaign is being supported by an interactive web site (www.reci.ba), which has been used to develop the discussion on EU integration with BiH citizens. So far it has received over 52,000 visits and 5000 comments. The EUSR is grateful to Operation Commander General McColl, COMEUFOR General Villalain, and EUPM Police Commissioner Coppola for their excellent support and cooperation. The EUSR would also like to express his appreciation to Ambassador Kourkoulas for the excellent cooperation between the EUSR and the European Commission Delegation. The PIC Steering Board met on 25-26 June, to review the situation in BiH. The PIC recognized the progress made by the authorities in BiH to deliver the objectives and conditions for OHR-EUSR transition, but also made clear it had serious concerns about the prevailing political situation in the country, not least of all the challenges to the country’s sovereignty, territorial integrity, and constitutional order, as well as to its state-level institutions. The PIC Steering Board held its subsequent meeting in Brussels on 19-20 November to review both the situation in BiH and progress made by the authorities in BiH to deliver the five objectives and two conditions for OHR-EUSR transition.